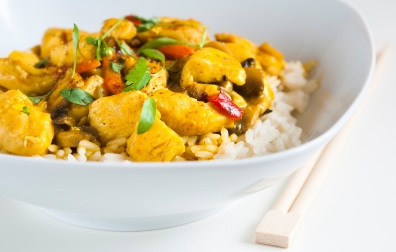 April 2015: Tips, eNews and More! 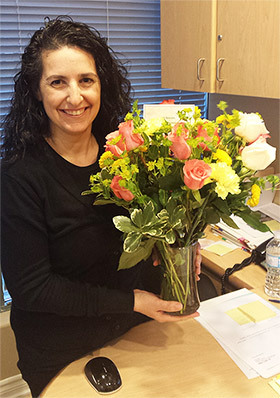 Recently we were very thrilled to celebrate Antonella's 15th work Anniversary at the Haas Dental Centre. During this time span Antonella has had four kids. We don't know how she has been able to juggle it all but are happy she can! Some of you may recall the early days when Antonella was Dr. Dan's assistant. Those were the old days at 333 Wilson Ave. before we had TVs in the room and Dr. Dan did his best to entertain the patients by singing to the background music. You have to give Antonella a lot of credit for surviving those first couple of years! Even Dr. Dan would admit that he should stick to dentistry and leave the singing to anyone other than him. 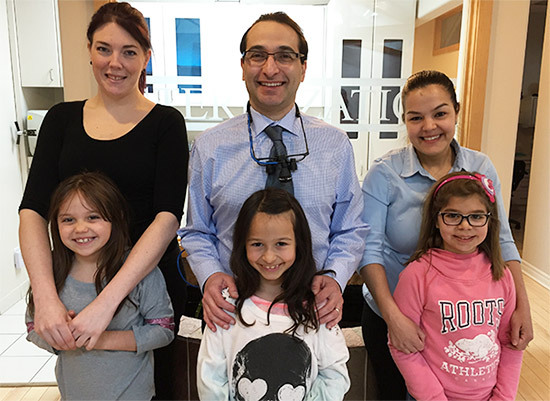 Antonella has played a large role in helping our practice grow. She is committed to improving patient care and the office environment. We owe a great deal to Antonella and her authentic passion. Looking forward to many more great years! 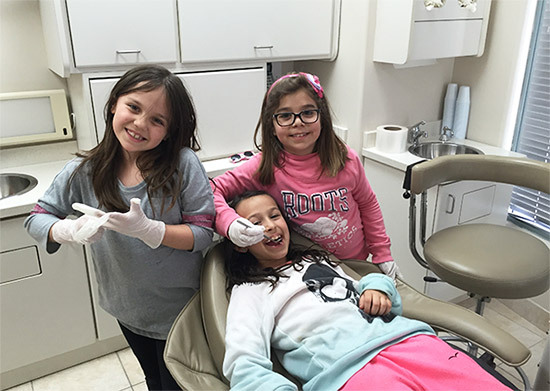 On a recent school PA Day Dr Dan's daughter Limona, Celia's daughter Monica and Nicole's daughter Calie spent the entire day at the office entertaining themselves. They even found the time to play dentist. The parents feel fortunate that they are able to give their kids the opportunity to see what they do at work first hand. 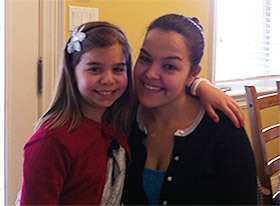 During March Break Dr. Dan's girls went to Florida to visit their grandparents. 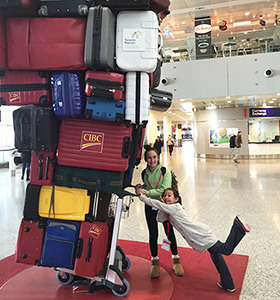 They only had two small carry-on cases when they left but when they returned Dr. Dan was shocked to see how many pieces of luggage they brought back! While they were gone for the week Dr Dan and his wife Daneal felt like they were on their second Honeymoon. No worries about any routines with the kids. They found the time to cherish their freedom by going out almost every night. They are already planning on sending them again next March Break. 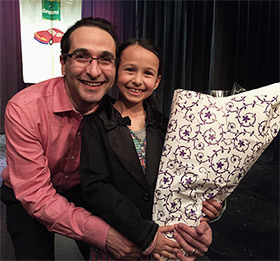 Limona, Dr Dan's younger daughter recently performed in Annie and amazingly did very well and acted like a cool cucumber. She sure isn't shy on stage. 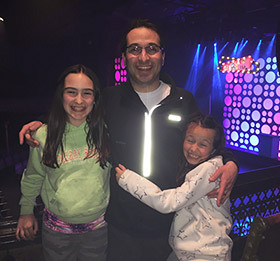 Dr. Dan's girls have recently been spoiled by getting to attend the musical Hairspray. They also got to see The Music By Queen and were lucky to stay up way past their bed time. It was great for Dr. Dan and Daneal to see their girls enjoying music from their generation. 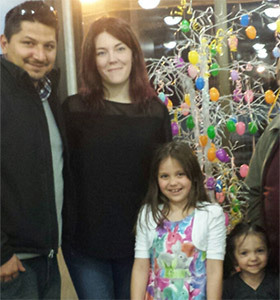 Antonella and her family are so glad that the winter is finally passing. 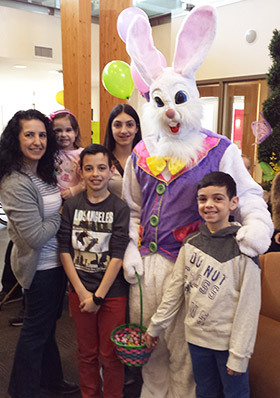 Easter celebration was a lot of fun and the whole family enjoyed yummy food, desserts, and of course chocolate. The kids had a surprise visit from the Easter Bunny. 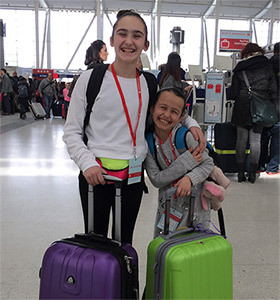 Isabella and Andrew are now preparing for their dance competitions. Adriano is busy practicing for his spring concert for piano and Gabriella models her siblings by dancing around the house and playing the piano. 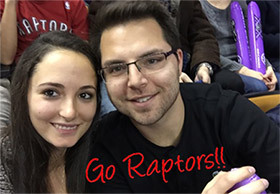 This past month, Liat and her husband had a night out on the town and got to see a Toronto Raptors game. They are big fans and hope the Raptors can make it far in the playoff round. Go Raptors Go! Celia had a busy last month. Her youngest brother turned nineteen and the whole family went out for dinner to celebrate this big milestone. During the Easter long weekend Celia took her daughter for an Easter Egg Hunt at High Park; they both had a wonderful time. On Easter Sunday Celia's mother cooked a tasty lunch and the whole family gathered at her house to enjoy some great food and quality time with each other. 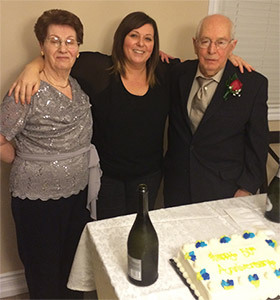 Diana's parents recently celebrated their 50th wedding anniversary. They did so by renewing their vows at church and going out to dinner with the family. Nicole and family had a wonderful Easter with lots of family and friends, and of course lots of food. Nicole's daughter's, Calie and Sofia, had a fun filled Easter morning as they did their egg hunt at home finding lots of chocolate and toys. Thank you to everyone who took the time to fill out our annual survey. We appreciate it and will take your feedback into account so we can continue to serve you better! We would also like to extend a big congratulations to our three winners, Arnold Y., Lisa T. and Nadia L.
We hope that they all enjoy their night out at the movies! Approximately 25% of oral cancers are discovered in patients once believed to have no lifestyle risk factors. Symptoms can range from visible sores in your mouth to difficulty speaking. Due to the incidence of human papillomavirus (HPV) related cancers being on the rise, we feel it's important to offer a test which will aid in early detection of oral cancer. ViziLite is a tool that uses flourescent light to detect cancerous or precancerous cells. Most of the time oral cancer is preventable if it's caught in the early stages, So don't forget to ask for an oral cancer screening test the next time you are at Haas Dental. This five minute test can be performed after your regular cleaning and will give you piece of mind.